Come along as I remember the childlike wonder and adventure of animated Disney movies, the inspiration of this week’s devotionals. Walt Disney’s Bambi begins with the enthusiasm of new life as Bambi, the young prince is born. He quickly learns how to walk and then bound over the meadow. All the forest animals eagerly introduce themselves to him. Excitement and fun meet Bambi as he encounters each fascinating new turn of life. He finds good friends, tries interesting foods, and explores new territories. Life is good for young Bambi - until winter descends on the meadow. At first, Bambi greets the new season with anticipation. He scampers in the new-fallen snow. He skates with Thumper on the frozen pond. As winter marches on, Bambi comes face to face with the harshness of the season. Loneliness as his friends hibernate, shivering cold as temperatures drop, hunger as food becomes increasingly scarce, and grief after his mother tragically is killed. Gazing out my windows, I notice leaves raining down all around. Coolness settles in the air. Autumn rains begin falling. Radiant splashes of yellow, orange and red replace the green of trees. I enjoy this time of year. But soon winter will arrive along with frigid temperatures, decreased activity and shortened days. All of this God preordained and ordered. 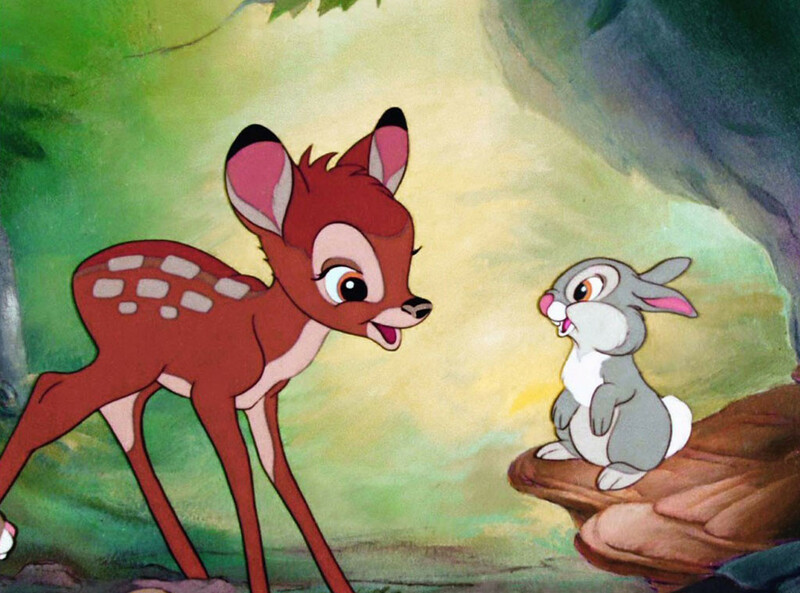 Like Bambi, we will undoubtedly go through cold, winter seasons in life. Loneliness, scarcity, and grief may threaten to overcome us. We are promised that everything lasts for a season. And seasons change. The winter won’t last indefinitely. Although it may seem elusive at the moment, spring will come again. Winter wasn’t the last season of Bambi’s life. Hard, frozen earth gave way to soft carpets of green grass and vivid flowers. Food sprouted in abundance. Relationships were renewed with his friends. Bambi found companionship and love with a beautiful doe, Faline. Shortly afterwards, Bambi and Faline became the proud parents of two precious fawns. Thank You, Father, for the changing seasons.